High-Quality Construction. These filters have anti-static and water- and oil-resistant coatings to protect them from the elements, and their optical glass boasts a blackened outer ring that improves contrast by combating flare and ghosting. Thin-Profile Filter Ring. 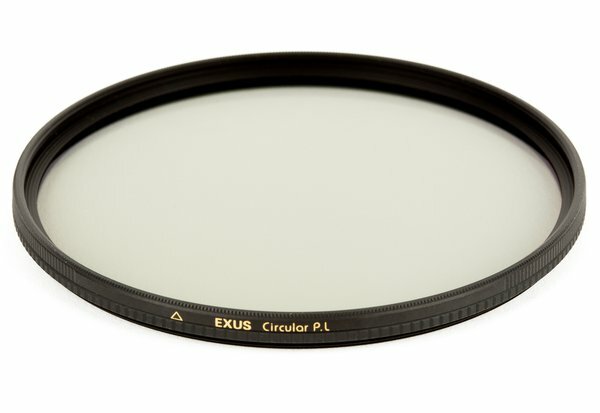 These filters’ slim-profile, low-reflection rings markedly reduce the probability of vignetting with wide-angle lenses. The rings feature multiple light-blocking ridges and a satin finish to provide less than 0.6% surface reflectivity, which further helps to prevent flare and ghosting. The rings’ Teflon-coated male threads and knurled designs make them easy to install and remove, and decrease the likelihood of filter jams.